There are several steps you can take when preparing your carpet for cleaning. A lot depends on how dirty it is or how big the spills, spots or stains are. This will determine what techniques we use or procedures to abide by. Here are some helpful tips on taking care of your carpet and preparing it for cleaning. 1. Offshore Carpet Cleaning wants you to know prevention is the best preparation so make sure you have your guest, family and yourself remove your shoes once you enter your house. If your carpet reaches your front door or any other place in your house that tends to have a lot of traffic, put rugs by those areas or plastic protector mats. 2. You should vacuum Offshore recommends two or three times a week and if you have pets such as dogs or cats, everyday. Not only does vacuuming keep your carpet looking good but it also keeps it fresh and clean. Don’t rush while vacuuming. Take your time to make sure you’ve hit all of the spots. 3. If you’re preparing your carpet for Offshore Carpet Cleaning to do a deep cleaning (recommended twice a year), move any furniture or other items that you would like them to clean up under. A great tip is to vacuum prior to Offshore arriving and point out any stains or spills once we are there so we can apply pre-treatment and clean it thoroughly. 4. Lastly, spills aren’t pleasant. If a spill happens on your carpet, don’t just let it sit there…clean it up right away. Offshore Carpet Cleaning has some suggestions of cleaning materials like baking powder, club soda, vinegar, lemon, salt or even carpet cleaner. When using the baking soda, let it sit for about 15 minutes to dry before you vacuum it up. If you’re looking for a great carpet cleaning and have never used Offshore Carpet Cleaning before, check out our reviews online in places like Google, Facebook and Angie’s List. We ensure every client walks away completely satisfied every time. We clean your carpet (or the flooring surface of your choosing) from wall to wall and deep in the corners, sanitize with minimal drying time, use a pre-treatment used for spots and stains. Offshore Carpet Cleaning also has a division offering Property Management and Janitorial cleaning. All these great services are under one roof and come with the same great service staff. We are owner operated so you can count on top not service every time. We offer emergency 24 hour service as well as : restoration, water removal, window cleaning, contractor management, storm checks, rental property oversight, furniture and upholstery cleaning, tile and grout, area rugs, business cleaning, daily cleaning or weekly cleaning of your commercial property. We are located in souther New Jersey and offer these services for all of Cape May County and Atlantic County. Including, Margate, Linwood, Absecon, Brigantine, Ocean City, Atlantic City, Linwood, Northfield, Egg Harbor township, Hammonton, Vineland, Marmora, Sea Isle City, Cape May, Avalon and surrounding areas. Hiring a professional carpet cleaner is the best thing you can do for keeping your home clean and extending the life of your carpets! A professional carpet cleaning company is the only company that you should ever have clean your carpets. Obviously, you should vacuum regularly and clean anything that does fall on the carpet. But instead of purchasing a cheap carpet cleaner from Walmart, you should hire always a professional company like Offshore Carpet Cleaning. Doing it yourself, or hiring a noncertified professional can cause some serious issues and cost much more in the end. Carpeting is generally a large investment and most people plan on keeping it for years. While carpet isn’t as expensive as hardwood or stone, it does still carry a high price tag. There are many different types of carpet to choose from, with many different types of fiber. You also have to purchase padding to go underneath the carpet and this increases the cost. Unfortunately, many people have the carpet installed and then do almost nothing to keep it fresh and clean. Carpet, similarly to wood or stone, requires maintenance. Primarily this means regularly vacuuming, and hiring a carpet cleaning company at least twice per year. The most important reason to have a professional clean your carpets is they are certified! This is hugely important since a certified carpet cleaner will know how to clean every type of carpet. A professional also knows how to treat spots and remove all traces of spots on your carpet. Offshore also has the equipment needed to remove the dirt and stains from the carpet. Professional grade vacuums and extractors do a much more thorough job of cleaning, then consumer products. It is always a great idea to hire experts because they have had the training to do the best job possible every time and have seen almost any issue and know how to deal with it. They are also fast! What can happen if you don’t hire an expert? It can be surprising how much damage can be caused by someone that doesn’t know what they are doing when they clean carpet. One of the biggest dangers is the possibility of putting too much moisture into the carpet. Moisture grows mold and it is not uncommon for mold to grow in or underneath the carpet. Usually, carpet that has mold in it will smell musty. Another reason to hire an expert is that they will use the right equipment. If the wrong equipment is used, the fibers of the carpet could be damaged. This means that the carpet would need to be replaced much quicker. When our professional carpet cleaners arrive they will assess the area to be cleaned. Next, the extraction process begins. We will use a cleaning agent to break the dirt away from the carpet fibers. Then the extraction and cleaning process begins. This removes nearly everything that is in your carpet that shouldn’t be there. Once the cleaning is done, it needs to dry. This takes much less time when a professional has cleaned the carpet. This is an issue that many consumer carpet cleaners cause. They don’t remove nearly as much moisture from the carpet as a professional grade extractor does. Fall and Spring is a time for a deep clean, to reduce Allergens in you home or place of business! There is no need to obsess about home cleaning, since there is really no way to completely eliminate allergens in your home. Allergy sufferers can benefit from regular home cleaning to reduce indoor allergens, including molds, pollen, pet dander, dust mites, and cockroach droppings. We also suggest professional deep cleaning at the change of seasons, Spring and fall. Regular cleaning at home is a must, to keep surfaces fresh for your family. Professional deep cleanings twice a year gives you that fresh start you need to stay healthy. Taking a few simple steps to keep dust to a minimum, preventing molds from growing, and controlling cockroaches and other pests may help minimize your allergy symptoms. Offshore Carpet Cleaning is southern New Jersey’s best and most professional carpet cleaning & floor cleaning service. We can clean any flooring surface and provide carpet cleaning, hardwood cleaning, tile and grout cleaning , area rugs and specialty flooring. Plus we can repair and install flooring for both commercial and residential clients in Southern New Jersey, Atlantic, Ocean County & Cape May County. We Know Clean. Using hot steam to ensure the highest level of cleaning sanitation and sterilization. Proper steam cleaning not only extends the life of your carpets but also keeps any flooring surface looking great, plus healthy and free of germs and odor. We specialize in developing an appropriate professional cleaning maintenance plan for any business from restaurants to banks and more. We offer water remediation and pet urine odor elimination and stain removal. Commercial clients are welcome for hotels, office or restaurant space. Our professional cleaning staff is trained to provide quality services for cleaning all types of flooring. Wilmington, North Carolina (CNN) Hurricane Florence has potential to cause “massive damage” to parts of the southeastern and mid-Atlantic United States — and not just in the coastal areas where the storm aims to make landfall Thursday night, officials warned. As Hurricane Florence takes aim on the east coast, including South Jersey areas including Ocean City, NJ, Atlantic City, and other coastal areas, be sure to keep Offshore Carpet Cleaning on speed dial. Call Offshore when you are in need of emergency water removal from your home or business. Hurricanes and major rain storms are a common occurrence and can lead to flooding all around Atlantic County and Cape May County. 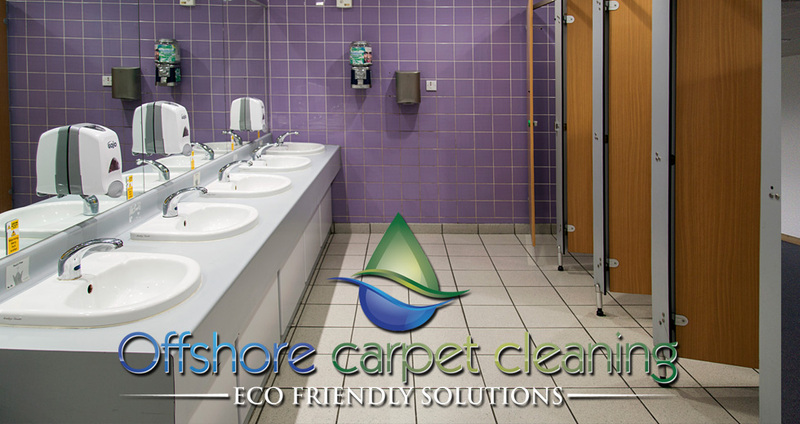 Offshore Carpet Cleaning offers way more than simply carpet cleaning. When the worst happens, water in your home, basement or living spaces and even at your place of business, give Offshore Carpet Cleaning a call and they will come and remove the water. Offering Emergency service 24 hours a day and 7 days a week Offshore knows the importance of removing the water quick to prevent larger issues like mold. Call 609-365-8045 or visit the website here. Hurricanes and major rain storms can lead to unwanted water in your home or business. Offshore Carpet Cleaning removes water from basements, offices and anywhere needed! Late summer and fall in South Jersey and the Jersey Shore means crazy weather patterns. Hurricanes and major rain storms are a common occurrence and can lead to flooding all around Atlantic County and Cape May County. Offshore Carpet Cleaning offers way more than simply carpet cleaning. When the worst happens, water in your home, basement or living spaces and even at your place of business, give Offshore Carpet Cleaning a call and they will come and remove the water. Offering Emergency service 24 hours a day and 7 days a week Offshore knows the importance of removing the water quick to prevent larger issues like mold.